Your Black Friday PreOrder deposit of $500 will get you $800 off on the kit when released. Total Kit Price will be $2870. Thats a savings of $300 from buying in to the pre-production pricing - with a balance due of $2070 at shipment. At any time you can cancel your deposit for a full refund. Power Goals - over 50whp improvement over stock on OEM internals. Estimated bw 330whp - 350whp. Currently we are putting the kit through a rigorous testing cycle to ensure only the best and final products make it in your hands. Initially designed for FWD Gen1 Jukes only - but we will release CVT and Gen2 Engine kits. The 2JR Garrett Turbocharger Upgrade for the Gen1 Juke has been developed for those that desire a fully engineered upgrade that provides an optimized power band. Unlike other bolt on upgrades that deliver just peak or high RPM power, the 2JR Garrett Turbocharger Upgrade offers performance throughout the entire power band ensuring a very responsive and drivable car. The 2JR Turbocharger Upgrade is designed for those that are looking for well balanced yet extremely powerful performance derived from years of developing high performance Nissan engine upgrades. 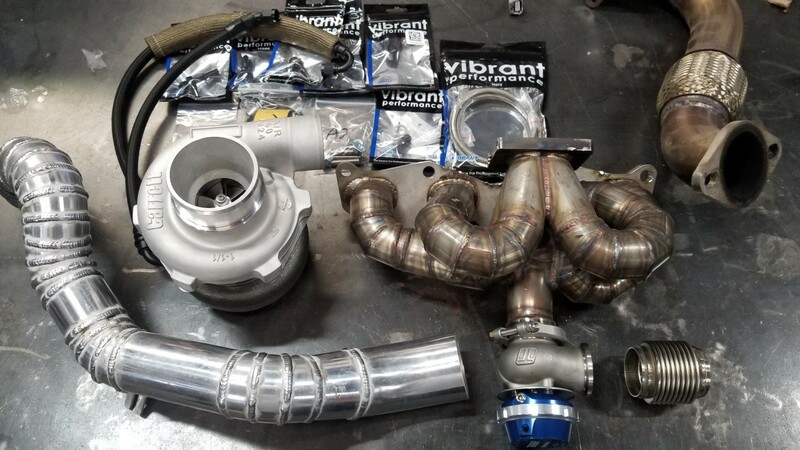 Our kit is designed around the GT28RS Dual Ball Bearing turbocharger platform for seamless integration and excellent response and performance. Developed as a complete system with everything available from one source ensures the performance and quality you’ve come to expect from 2JR. Because of the unique A/R and Dual Ceramic Ball Bearing case, power comes on strong with amazing response and virtually no turbo lag. We rely on the Garrett for the foundation of the our turbo kit. The GT28RS lends itself well to incredible response with virtually no lag while producing incredible power and a very drivable car. 8. All Couplers, clamps, hoses and gaskets are inc in the kit for a truly bolt on kit. Will work with OEM or Aftermarket Midpipes. Same goes for the intake - these will connect to the compressor side of the turbo as well as the Factory Intercooler or 2JR Front Mount. The 2JR Garrett Turbocharger Upgrade for the Gen1 Juke has been developed for those that desire a fully engineered upgrade that provides an optimized power band. Unlike other bolt on upgrades that deliver just peak or high RPM power, the 2JR Garrett Turbocharger Upgrade offers performance throughout the entire power band ensuring a very responsive and drivable car. The 2JR Turbocharger Upgrade is designed for those that are looking for well balanced yet extremely powerful performance derived from years of developing race winning Ford 4 cylinder turbocharged engines.